Every month we create a new lineup of old favorites and new sensations! Our cooks are constantly striving for new ideas to make our lunch specials great and our customers happy. Check out this month's specials below! As soon as next month's menu is available I'll add it so that you can mark your calendars for your favorites! 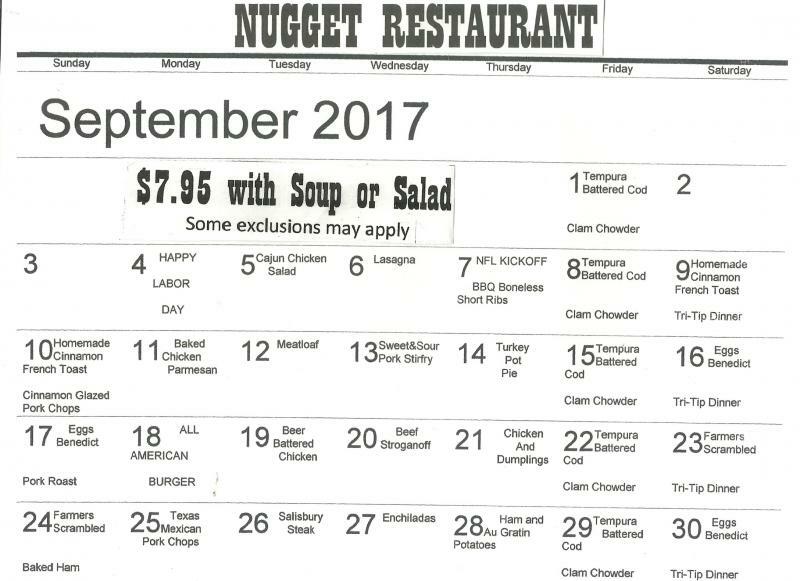 Copyright 2010 The Nugget Restaurant. All rights reserved.